This event is open to the General public, with free admission and parking. 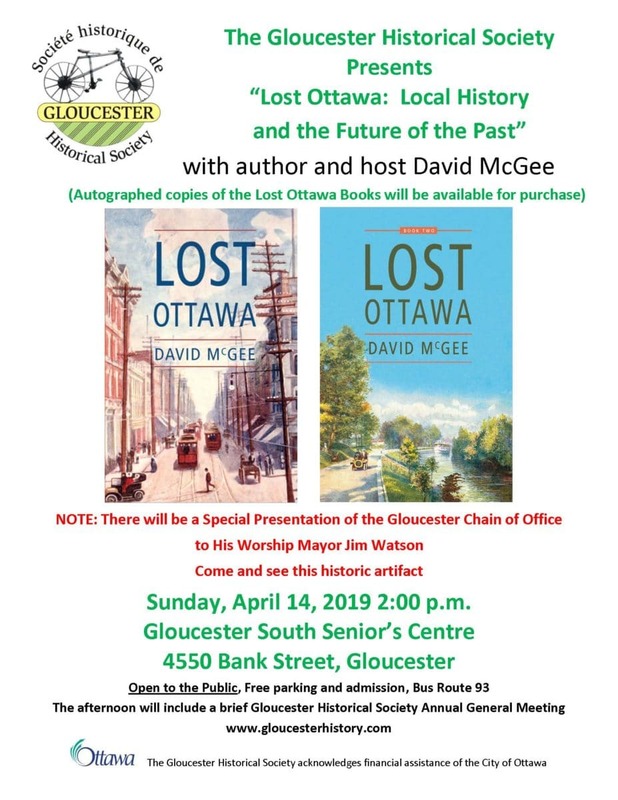 The presentation features author David McGee, who wrote the two Lost Ottawa books and hosts the Lost Ottawa Facebook page. At the start of the event, the Gloucester Chain of Office will be presented by Gloucester’s last Mayor Claudette Cain (Coulas) to His Worship Mayor Jim Watson. Come and see this historic artifact. There will be a brief Annual General Meeting for the Gloucester Historical Society. Refreshments will be served.